The Aether allows anyone to shape the universe to their will. During the Convergence, Malekith planned to plunge the Nine Realms back into darkness, converting the universe into Dark Matter. The Reality Stone helped keep reality in place as Thanos tore it asunder with his snap, making reality whatever he wanted it to be. 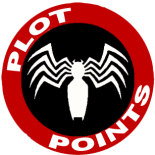 This entry was posted on March 20, 2019 by Mark in Cinematic Universe, Events, Item Power Set, Marvel Cinematic Universe.